Well here we go, let’s see if I can leave this challenge with my face intact. After seeing some of the videos online of people pulling off these masks—and their skin along with them—I’m a little weary. 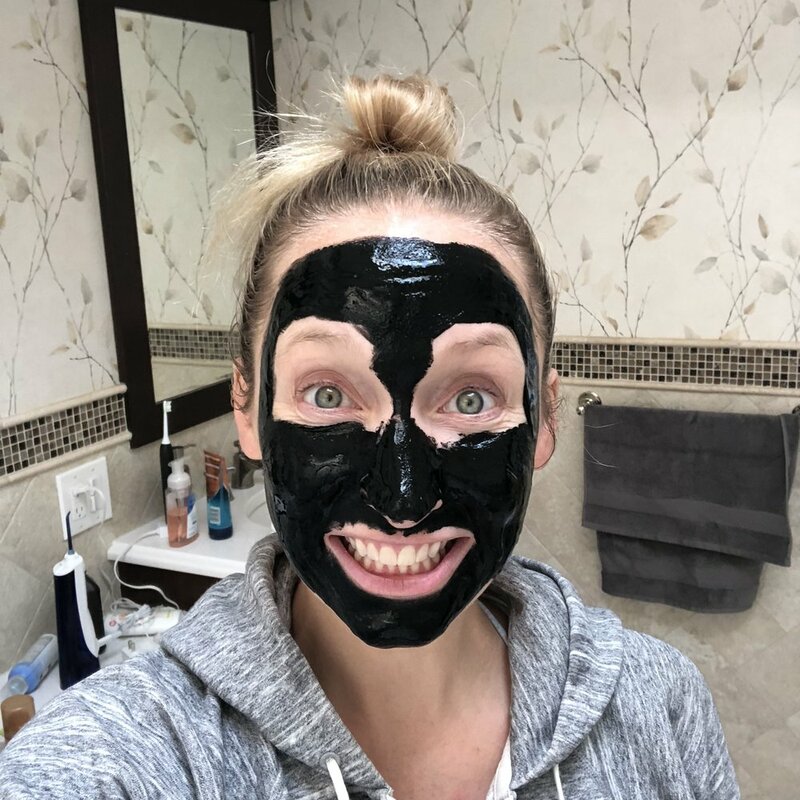 I picked out this Vassoul Black Mask simply because it was one of the first to come up on Amazon that got good reviews. Having three kids under three has made me not overthink certain purchases, and to just go with the flow. The instructions were vague, but did say to start by taking three to five minutes to apply a hot wash cloth. It’s hard for me to stay still for three to five minutes, but I took my new wash cloth and did as I was told. Luckily my water is very hot and I do feel like I got some pores to open up. I’m wasn’t sure how much a “proper amount” was or where I should have applied, but at least I had the foresight to avoid my under-eyes and not get too close to any hairs that I was looking to keep on my head. Once applied, I took some selfies, had a cup of tea, and waited for the mask to dry. After 20 minutes (twice as long as the instructions indicated) there were still some wet spots, but enough was enough. Getting the peeling started wasn’t easy, and watching the mask pull my skin in weird directions as I tried to start peeling was amusing. That is, until I realized I was actually going to post these ultra-flattering pics online. So did it hurt? I’d say it was uncomfortable, absolutely. I definitely saw lots of little hairs and whatnot on the mask. It was like a big Biore strip for your whole face. I can’t say I left the process looking flawless, at least not at first. Lots of pieces of the mask were left here and there, and as I tried to get them off, I started to get semi-wet globs of black mask all over the place. It’s the least awesome part of the experience. BUT! Let’s talk about the most awesome part—MY SKIN! It really did look radiant and felt so smooth and silky! 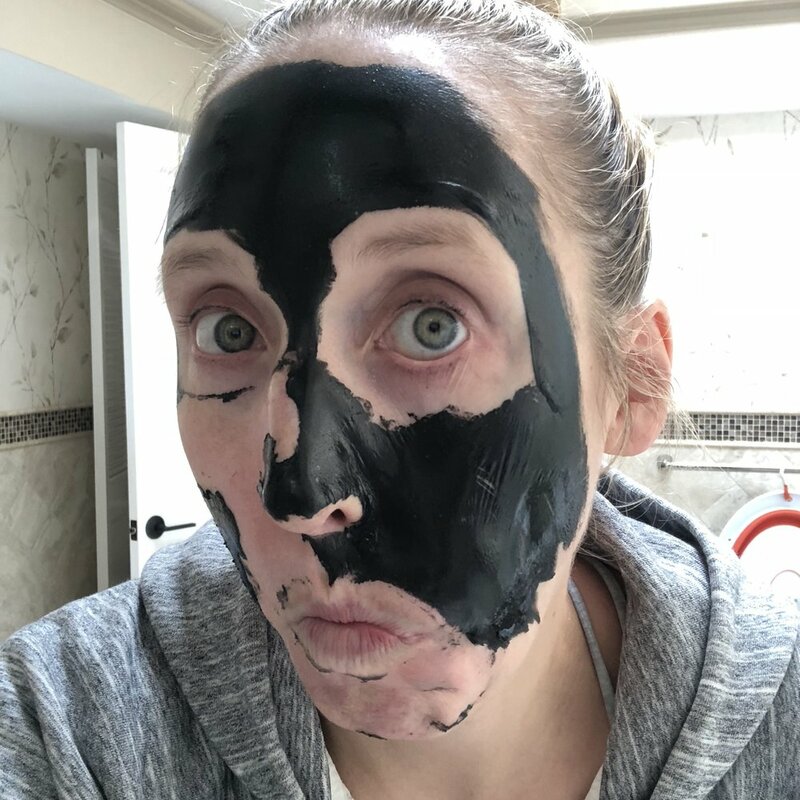 Now, I’m more of a hydrating mask kind of girl, so I can’t say if it’s the style of mask or the charcoal itself that made me leave with baby bum smooth skin. But the results suddenly made the mess worth it. 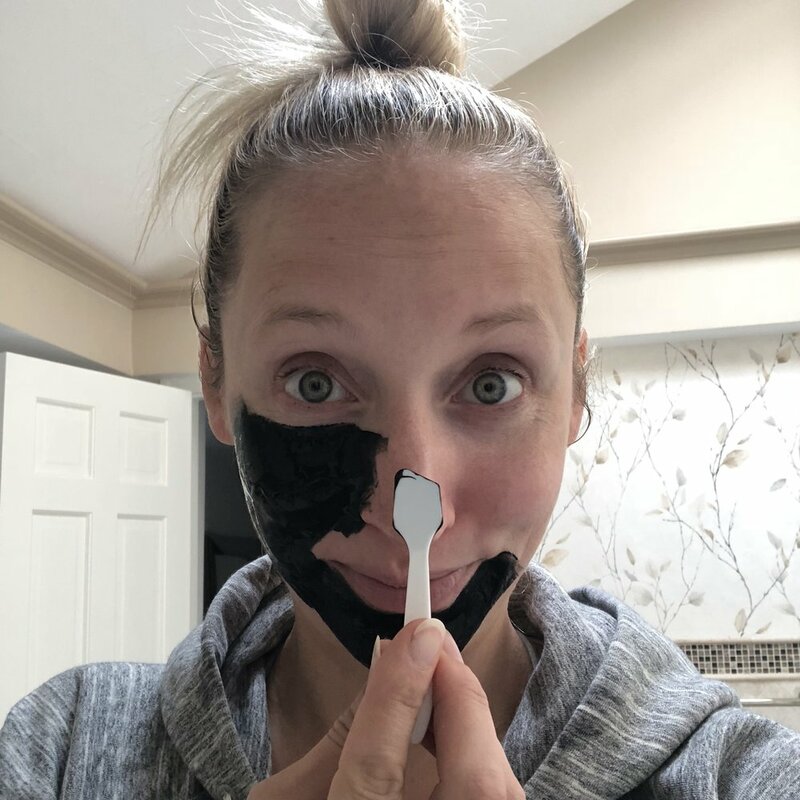 And since my chances of getting to a spa any time soon are next to zero, I’m kind of excited about my charcoal mask! Thanks for the motivation, Becca!